THE growth and development of mankind depends on how well the human societies regulate their internal affairs and how they work for common welfare and the dignity of each individual. THE huge backlog of cases in the courts and inordinate delay in their disposal has created an alarming situation. Factors underlying the problem of delay are varied. Over the years, the Law Commission and committees like the Malimath Committee have examined the problem in great detail. People approach courts with the belief that they would get relief within a reasonable period. 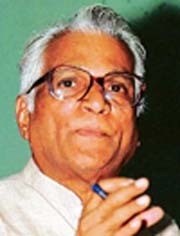 NDA convenor George Fernandes has been labelled ideologically fickle by the media, hounded endlessly by the Congress and betrayed by his own partymen. Controversies have shadowed him from the days of the Emergency when he was accused in the Baroda dynamite case. He resigned as Defence Minister in 2001 following allegations of defence deals in the Tehelka sting operation. His previous stint as Railway Minister earned him praise for the Konkan Railway and other projects. Every time I have moved to a new assignment, I have experienced a work situation which needed an overhaul in many respects. An overhaul in respect of work culture, work processes, work procedures or lack of them, capacity of meeting the declared charter of responsibility, and the laid down targets mostly non-existent. It’s like going back to a starting point every time. Whenever Arun Singh, once a close friend and confidant of the late Rajiv Gandhi, makes an appearance — in public or in media — speculation mills begin rolling. Will he come back in public life? Will he be inducted in the Defense Ministry as an advisor or in some other capacity? Will he become a key member of Sonia Gandhi’s think-tank and an advisor as he was in the early years of Rajiv Gandhi’s tenure as Prime Minister? In the past, he had staged a comeback thrice but for “specific tasks”. He drew minimal salary. What has been happening in other sectors of the world is definitely having an impact here. There is coming about a deep division between the haves and the have-nots. For a change, this is not much to do along with the strain of roti, kapda or makaan. Rather a lot to do with those who have the vision and ability to see the polarisation taking shape on a bigger platform and those who are short-sighted and so do not have the capability to grasp what’s on. The bigger picture not really emerging or not made to emerge. The theory of natural law of existence depends largely upon the concept of inalienable and innate rights of man, commonly known as human rights. It is primarily for this reason that human rights are generally rooted in the cultural and political ethos of each free modern state in the present times. India gained independence after a long struggle against the alien rule. In the course of the freedom movement, Indians had raised voice against human rights violations and deprivation of basic civil, political and economic rights. The Universal Declaration of Human Rights coincided with the drafting of the Indian Constitution. The founding fathers were fully convinced that respect for human rights from the standpoint of good governance was the only guarantee for peace and tranquility in independent India. India gave to itself the Constitution that assured one and all that it would be a democratic republic to secure to all its citizens justice, liberty and equality while promoting the dignity of the individual. The Constitution guaranteed social, economic and political rights. The liberty guaranteed to the citizens was inclusive of liberty in the matter of thought, expression, belief, faith and worship. The founding fathers laid down as part of the basic structure of the Constitution, a set of civil and political rights under the nomenclature of justiciable fundamental rights that could be enforced through the judicial machinery. The economic, social and cultural rights were included in the Directive Principles of State Policy. As clarified in Article 37, they were considered to be “fundamental in the governance” of the country. We must fully grasp and appreciate the significance of the law governing the object of protection of human rights in our country. India is a party to both the Covenants — the one concerning civil and political rights as also the one stating economic, social and cultural rights. Though the human rights embodied in the said two Covenants stand substantially protected by our Constitution, a need was felt to establish institutions designed to provide “guidance and directions” for affording “better protection of human rights”. It was, thus, with a view to strengthening the dominion of human rights in India that the Protection of Human Rights Act, 1993 was enacted. The law envisaged human rights commissions at two levels — at the Centre and in the states. The functions of both national and state commissions are substantially common as set out in Section 12 of the Act. The role assigned to both commissions is participatory, supplementary and collaborative. The National Human Rights Commission (NHRC) was set up by the Centre almost immediately after the adoption of the law. The task of setting up of state commissions, however, has been tardy. Setting up a state commission is the statutory responsibility of each state government. The state’s duty does not end with the initial establishment of the commission. Such a machinery has to be provided with requisite infrastructure, optimum staff, appropriate sensitisation in the matter of cooperation and by assured financial sustenance and autonomy. Experience shows that the progress of many state human rights commissions on each of these fronts has been very slow, rendering their task very difficult. In one commission, the vacancy of one member remained unfilled for almost one year. It was for such experiences, besides others, that the NHRC in its Annual Report for 2003-04 recorded its regret over the delay on the state governments’ part in setting up or “providing necessary staff and infrastructure support” for the smooth functioning of the state commissions. It impressed upon the state governments the vital need to realise that it was “insufficient merely to designate or establish” the state human rights commission. It is absolutely indispensable that their “quality must be ensured, both in terms of personnel and financial autonomy” and “they must be extended the support that they need if they are to fulfill the purposes envisaged for them” under the law. Though the UP Human Rights Commission has handled a large number of complaints, some resulting in directions in the nature of award of compensation or recommendation for disciplinary action against the errant public servants, the mounting deficit is a matter of concern. In the coming years, the state commissions’ areas of interest and focus will not be confined to the traditional subjects of custodial deaths, custodial rapes, encounter deaths, rights of arrestees, human rights and prisons and women’s rights. Given the direction in which human rights law is heading, and for which policy the NHRC is also to be given credit, they would shoulder the responsibility in the areas as varied as right to healthcare, right to gainful employment, right to corruption-free governance, right to relief in times of man-made or natural disasters, right to food and potable water, right against trafficking in human beings, right against sexual harassment or abuse, rights against child labour and child marriage, etc. In carrying out their responsibilities, the state commissions would seek assistance from the system of District Human Rights Authorities that the NHRC has been attempting to set up for better focus at the grassroot levels. They will have the benefit of coordination and sharing of information with the NHRC. But they would have to do something more to redeem their pledge. The state commissions should make themselves more accessible through Internet connectivity. The emphasis on human rights education right from the primary school level upwards would have to be followed up by effective action at their own level rather than depending upon other state agencies. We should all be proud of the Indian judiciary’s role in the protection of human rights. Members of state human rights commissions in the country have to keep close to their hearts and minds, the judiciary’s proactive approach to scrupulously and overzealously guard the rights fundamental for human existence. Their orders and directions should secure the enlarged scope of the right to life to include within it the right to live with dignity, healthy environment, humane conditions of work, right to education, shelter and social security, right to know, adequate nutrition and clothing, pollution-free water, air and many other such rights. THE huge backlog of cases in the courts and inordinate delay in their disposal has created an alarming situation. Factors underlying the problem of delay are varied. Over the years, the Law Commission and committees like the Malimath Committee have examined the problem in great detail. People approach courts with the belief that they would get relief within a reasonable period. Their confidence in the judiciary would get eroded if courts do not deliver quick justice. Over two crore cases are pending in the courts today. There are over 8,50,000 lawyers all over India as against 13,000 judges. According to one study, 75,000 judges are required to administer speedy justice. The judge-population ratio in India (1971 census) was only 10.5 per cent million population while the ratio was 41.6 in Australia, 50.9 in the UK, 75.2 in Canada and 107 in the US. Fast track courts are one remedy to clear the backlog and expedite justice. They suffered a setback when the Twelfth Finance Commission did not allocate funds. However, after the Supreme Court’s intervention, the Centre extended these courts’ term till 2010. As they have helped reduce the backlog considerably, they should be continued. Fast track courts help save money in terms of expenses on the undertrials’ maintenance. The estimated average cost per undertrial is Rs 55 a day, which covers food, medicines, clothing and extra provisions for sanitation, water correctional programmes, transportation to the courts and back. The annual expenditure on each undertrial thus comes to about Rs 20,000. The maintenance of 1.2 lakh undertrials in the prisons across the country costs government Rs 240 crore a year. This amount could be saved if cases against them were expeditiously tried and settled. The scheme of fast track courts envisages the appointment of ad-hoc judges from amongst retired sessions/ additional sessions judges and advocates with expertise in laws. The High Courts selects the judges. As per the Centre Government’s plan, the fast track courts will be required to dispose of 14 sessions trial cases or 20-25 civil or criminal cases every month. NDA convenor George Fernandes has been labelled ideologically fickle by the media, hounded endlessly by the Congress and betrayed by his own partymen. Controversies have shadowed him from the days of the Emergency when he was accused in the Baroda dynamite case. He resigned as Defence Minister in 2001 following allegations of defence deals in the Tehelka sting operation. His previous stint as Railway Minister earned him praise for the Konkan Railway and other projects. As Industries Minister, he forced multinationals like the IBM and Coca Cola to pack their bags. The 76-year-old socialist leader took up the cause of the hotel, mill workers and railwaymen and soon emerged as a promising trade union leader. Born in an urban middle class family in Karnataka, Fernandes risked the wrath of his relatives by leaving the seminary in his teens. Presently engaged in writing his autobiography, he speaks to The Sunday Tribune. Q: Do you see prospects of the Mulayam Singh Yadav government losing power in Uttar Pradesh? Congress President Sonia Gandhi has given a ‘do-or-die’ slogan to end his misrule. A. No, I don’t. He will be re-elected. I would, certainly, like to go Lucknow to campaign though my party is not going. They are part of the Apna Dal. All these early bird campaigns (referring to the Sonia Gandhi and Rahul Gandhi’s campaign in UP) don’t work in politics. There is hardly any Congress presence in UP. Those who live in closed houses don’t “do and die”. They live on others’ work and the use of this term is inappropriate in this case. The term was used by Mahatma Gandhi and holds a special significance in our freedom struggle. People died fighting for freedom. Here the fight is for power. Everybody is going to make money. 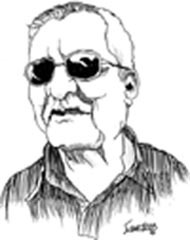 Q: Do you think socialism being advocated by you or by Mulayam Singh Yadav is relevant today? Can it assure delivery of basic amenities and justice to the poor? A: Democratic socialism will never die. Marxism has been rejected in several countries but democratic socialism will survive as long as there is injustice in the world — political, economic or social. It may fail in a particular area but it cannot die. This is because socialism is ultimately about a person whose voice is not heard. Along with socialism, you should also see what is politics. Most people think that politics is about themselves, their leadership but politics is about people, their joys, and fulfillment of their aspirations. In a country of colossal unemployment, the politician is asking for office of profit. Q: What future do you foresee for the Socialist Party? A: If you are referring to the Janata Dal (United), the party is in a state of turmoil. Q: Why have you maintained a dignified silence over your party’s organisational elections? A: I built the party, others joined it. Q: Having been elected to the Lok Sabha nine times, have you seen earlier the kind of clash that we see in Parliament now? A: Never. I think all over the world, presiding officers are chucked out if they misbehave and there are innumerable instances where they have stepped down on their own. People have put up with the Lok Sabha Speaker’s conduct for long now. The Opposition, which was also responsible to put him in his office, does not have the numbers to vote him out of office and he knows it. Q: Has Mr Natwar Singh been victimised? Is the National Democratic Alliance offering him help in political rehabilitation? A: Well...from all that one has seen now, the Congress party has used him in their interaction with Iraq. They have chosen to dump him as it does not suit them to associate with him any longer. I don’t think he needs any rehabilitation. With his long experience in public life, he will know how to handle the situation. He need not ask for favours from any political party. Offers will come to him because of his experience in public life. Q: How do you view the Indo-US nuclear deal? A: I fought against the use and creation of nuclear weapons till we reached a point where the United States said that it will decide the fate of the world. I stood up in Parliament and said that this was not acceptable and that the US cannot act as the world’s policeman in the matter of nuclear weapons. My concern is over handing over our nation’s security in the hands of people who have vested interests. 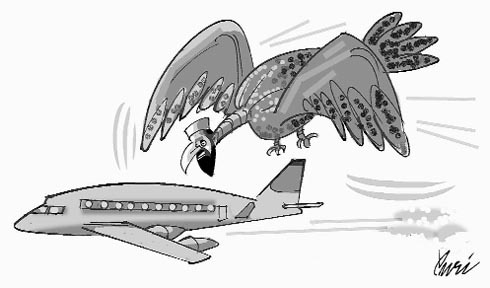 The UPA government has surrendered to the US either out of ignorance, lack of experience or under pressure. Q: Despite being cleared of charges in the Tehelka scam, your stint as Defence Minister had its share of controversies like the sacking of the then Chief of Naval Staff Admiral Bhagawat. Why? A: After the no-confidence motion was brought against the NDA government by the Congress, I told the whole country that in a hundred years, nobody will be able to corrupt me. What has been common in all past experiences is the negative mindset of individuals at the helm and down the line. Both these categories create, preserve and promote work ethos. It is this very mindset which preserves and resists change. Therefore, to alter things for the better, one may not be able to replace people wholesale but would need to work through the same persons. Hence, growth and improvement involves everybody and everything — persons and processes. Let me substantiate this. In my last assignment as Director-General Home Guards and Civil Defence, I had to be surgical selectively. This is because I had any number of complaints of corruption concerning Home Guards who had managed to return or stay in the department beyond their prescribed tenure, by bribing and manipulating their way through. This fact got exposed through my field visits and feedback. This awareness resulted in ridding the department of all those who were the black sheep giving a bad name to the organisation. This action of ours sent a clear message that this department may be ignorable but not disposable. To do this, we did not require the intervention of the courts or the right to information notices. It was the same flock of persons which identified the wrongs and got on the correction mode. This is just one example. Let me share one more. This is on Civil Defence. This organisation too showed a similar state of somnolence. Hundreds of persons selected or enrolled for reasons other than the spirit of voluntary service continued to be on rolls over many years despite being absent and incommunicado. Those who could be contacted clearly said they had no time. These persons had not surrendered their membership identity card despite knowing it had to be. They wanted to enjoy benefits without obligations. Interestingly, many also were well past their upper age limit of 60 and continued to remain in community organising and mobilising position. It took us some clear, tough and transparent decision-making to retire these individuals. Some very heavy weights and well entrenched. We retired all of them with one single order. The organisation which was earlier claiming to have over 35,000 members (which included the absent, inaccessible and ineligible) now came down to eligible 19,000 and still needing more pruning. This overhaul too was done by the same persons who had presided over neglect and lethargy. The fact is that where the work culture of an organisation does not meet the desired goals, it takes every bit of energy and experience of a fresh incumbent to alter. (That is if the successor thinks change is called for. And is convinced it needs to be done without delay). Naturally, it is time and energy consuming. The senior has to be on a huge learning curve for the colleagues to assist, educate, inform and brief the new comer to get advice. In other words, we may be losing time as we may be gaining in recovering through a review process. The system gives the new incumbent no time for induction. But there is one common thing I have seen in all situations, be it here or overseas. It is resistance to change, with predominance of response that ‘it cannot be done’, or ‘it’s not possible’, or ‘it is difficult’, or ‘this is not my job’, or ‘we can only try’, or ‘we do not have enough resources, let them be given first’. Or ‘what is the point Madam, nothing will change howsoever you may try’ or ‘what is the guarantee that this change will last’? I believe the real challenge before us today is how do we have or produce more young men and women who want to make the difference! Why do the persons once in government services not perform their duties on their own? Could the teachers, educational institutions and parents please tell? Arun Singh has himself put the record straight when he appeared in NDTV’s recent Walk the Talk programme: “this is the first and last time that I am making an appearance of this kind”. Having come to be known as India’s “most famous recluse”, he would prefer to stay in his forlorn cottage at picturesque Binsar, near Almora. Time bears testimony that Arun Singh was, perhaps, the late Prime Minister’s steadfast friend, misunderstanding notwithstanding, as others, said to be close to him, let him down one by one. Time was when two Aruns — Arun Nehru and Arun Singh — were often seen at Indira Gandhi’s residence, brought to assist the Gandhi family. At that time, Nehru worked as an executive with a shoe polish company — Cherry Blossom — and Arun with Reckitt and Coleman. Indira Gandhi had returned to power in 1980 and Sanjay Gandhi called the shots. She had won from two constituencies — Medak and Rae Bareli — but decided to retain Medak in Andhra Pradesh. Sanjay was in the look out for a candidate for the Rae Bareli by-election. It was, perhaps, a coincidence that one morning at the breakfast table, cousin Arun Nehru barged in. Like lighting an idea stuck Sanjay: why not him? “Arre Mote, MP banega”? (Hey Festo, want to become an MP? ), he asked. Nehru won from Rae Bareli and his tryst with politics began. Arun Singh, who entered the Rajya Sabha, almost at the same time, was entirely Rajiv’s choice. Born in the princely state of Kapurthala, Arun Singh had been at Doon School and, later, in Cambridge with Rajiv. Both the Aruns were as different as chalk from cheese. When Rajiv Gandhi became the General Secretary of the AICC, Arun Nehru became politically important but Arun Singh maintained a low profile. Mysterious are the ways destiny. The ill fate struck like a bolt from the blue. Indira Gandhi was assassinated and young Rajiv became the Prime Minister even before he was fully groomed for the key position. He picked up Arun Singh as Parliamentary Secretary, to work in the PMO and attend to all the sensitive matters. Within a couple of months of Indira Gandhi’s assassination, Rajiv had decided to go in for a mid-term poll. That was the last week of December 1984. He undertook a country-wide non-stop election campaign. His companion during the marathon electioneering was Arun Singh, besides his PS, Vincent George, and the SPG Chief Subramaniam. This columnist accompanied him during most of his electioneering throughout the country and seen the trust Rajiv had reposed in his school-time buddy. Arun would stand below the rostrum, noting the slips in Rajiv’s speeches, and later in the aircraft telling him to include this point or exclude that sentence. The new points of election speeches were faxed to him every morning from Delhi and Arun Singh vetted them. He would joint his “boss” in the PM’s Cabinet in the aircraft at breakfast, dinner and lunch. Being new, both Rajiv and Arun were not much acquainted with the complexities of state politics. Having covered the Congress party for long, I would sometimes tell them about the local politics and equations between rival factions. Bewildered many a time, Arun would often ask me: “How is that you know so many leaders in every state and political equations among them?”. My simple reply was: “Experience”. Rajiv won with a massive majority. He settled down in the South Block with Arun Singh managing the PMO. Both friends’ tryst with destiny had begun. Arun attended all meeting, studied the sensitive matters and processed files. Never before, not even during Indira Gandhi’s time, the PMO was so well organised. Arun Singh devoted long hours in streamlining the function of the PM’s establishment. He enjoyed the PM’s full confidence. So close they were that they lived in adjoining bungalows — 5 and 3 Race Course Road — and their families regularly met. To facilitate their movement, a wicket gate was created inside the two bungalows to enable movement of the family members. Soon Arun Singh was out of the PMO and made Minister of State for Defence where he did a commendable job. It was a promotion for him but, in the meanwhile, the Bofors controversy broke. Arun Singh had said in the NDTV programme, “I have absolutely no idea who took the money. I left because though I did not know who had taken the money for Bofors, I knew somebody had”. The rest of the story is well known. Arun Singh married another woman, Ramola, and decided to move out to the seclusion of Binsar, near Almora in Kumoun hills, where he has been living for 18 years. He has been quoted as saying: “I left my wife and came away with Ramola” and “Binsar gave me an opportunity in a sense to step away from society as well as public life”. Apart from personal reasons, another cause for his disillusionment was that Rajiv believed and, in the words of Arun Singh, “I had let him down”. Rajiv was not sure if “I was not making powerplay”. Arun Singh was emotionally hurt when PM asked him if he wanted another job (other than Minster of State, Defence). Perhaps, one reason for his going so far away was to prove that he was not interested in power. And, he has proved it. Arun Singh remains the closest ever friend of Rajiv Gandhi. He calls Sonia Gandhi “my sister”. Last week, there was a discussion on the latest developments in West Asia. Veteran journalist S. Nihal Singh chaired it and the speakers included academics Achin Vanaik and A.K. Pasha, and Seema Mustafa who is Resident Editor of The Asian Age. A hard-hitting discussion, it was with the speakers baring the truth of this latest war between Israel and Hezbullah in Lebanon. As they had said, myths are getting “peddled” to achieve the US game plan in the region. There is relaying of false propaganda, planting of false stories so that there is breaking of the civilian resistance groups in Lebanon and also to pit one section against the other, the age-old strategy used for imperialist goals. Seema Mustafa went on to say that there is also an apprehension that just like civil war was made to erupt in Iraq so there could be efforts of bringing in deep divisions in the Lebanese people and to create a civil war type of situation in case they are unable to defeat Hezbullah. She stressed that much against the propaganda that Hezbullah is just a Shiite group, it is a widely acclaimed force throughout the Arab world because they have taken on the US-Israel combine and work for the people. Achin Vanaik is one of the boldest speakers I have heard. He spoke like any fearless Indian ought to speak. For, in a democracy, you have the freedom of speech as a fundamental right. He was critical of India’s foreign policy and extremely vocal about the demarcations coming about on our country. How people are getting polarised along religious lines right here and what ploys are being used by the establishment to justify its actions. The obvious game plans of the imperialist forces which are using all possible ploys to march on. Alas, as these speakers pointed out that with weak governments getting swayed and a heavy propaganda war on, it’s indeed a dismal scene for the average citizen. Though we Asians living on this side of the sub-continent have suffered tremendous blows at the hands of the British, even today we don’t sit wary. IIC. A shoddy production in the regular run, I wouldn’t have written about it, but since it’s focus was on the Partition, it’s important to offload what those broken women had to offload. Made by the Pakistan-based academic Farrukh Khan, he had lined up several women who had been affected by what the Partition brought along. And matching the very title of this documentary Stories of the Broken Self, each one of the women recounted horrifying and nerve-wrecking details. I was going through the other day the latest edition of Khushwant Singh’s Train to Pakistan, which has photographs on Partition by Margaret Bourke-White. These photographs will make you sit up, introspect and shake your head in agony. Shots of that mad violence and death hit your nerves. Several months back, as I saw the film Hotel Rwanda, it was again a grim reminder of what madness over-takes as one section gets pitted against the other. Needles to add, the actual players — the vested political powers — do not get affected. It’s just the average who are killed and raped and hounded. Books are in big focus. Last week, two books were released. One was Shooting Water (Penguin) by Devyani Saltzman, daughter of film maker Deepa Mehta. It revolves around Deepa Mehta’s film Water. Then, The Legends of Pensam by Mamang Dai was released by Mark Tully. Published by Penguin, it is one of the few books on the North East. Like any other place on earth, the territory of the Adis in the mountains of Arunachal Pradesh is Pensam, the in-between place. Anything can happen here, and everything can be lived.” It is written by former civil servant Mamang Dai who now lives in Itanagar. She has taken up writing connecting us to that part of the country by her writings. She had earlier authored, Arunachal Pradesh: The Hidden Land and also River Poems. Former Chief Secretary of Jammu and Kashmir Ashok Jaitly’s book St. Stephen’s College — A History (Roli) — was also released. On August 21, Vikram Chandra’s Sacred Games (Penguin) will be released. Then, there is the recently released Simon Digby’s Wonder Tales of South Asia (OUP), aptly translated into Hindi, Urdu, Nepali and Persian.